Commercials featuring smiling women digging into yogurt containers can give the mistaken impression that men have no reason to seek out the tangy treat. Actually, men can gain a wide variety of health benefits from making yogurt a regular fixture of their diets, ranging from improved digestion to better sexual health. 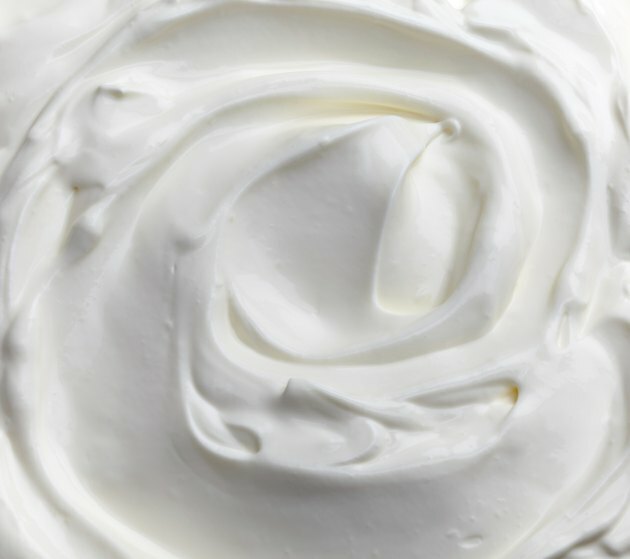 Some scientists suspect that certain dairy products, including yogurt, can help obese men lose weight. In the results of a long-term study published in 2008 in the "American Journal of Clinical Nutrition," regular yogurt consumption was inversely associated with weight gain and waist circumference measurements in overweight men. The same relationship between yogurt and weight changes did not hold true for overweight women. If the results of studies conducted on male mice are any indication, yogurt may have sexual benefits for men as well. According to a research review published in the journal "PLoS ONE" in 2014, male mice fed a yogurt diet have developed larger testicles, higher testosterone levels and higher sperm concentrations. Dr. Susan Erdman, one of the Massachusetts Institute of Technology authors of the research review, hypothesized that the fertility benefits observed in the mice could be due to yogurt's probiotic bacteria. Not all men experience digestive difficulties, but those who do may be less likely to seek out medical attention than women. Yogurt, however, can be a natural remedy for many digestive issues. Yogurt contains probiotic bacteria, which are primarily known for their ability to promote digestive health. According to the Harvard School of Public Health, several of the strains of probiotic bacteria found in yogurt may help prevent or treat digestive difficulties including indigestion, diarrhea, irritable bowel syndrome and Crohn's disease. Yogurt's probiotics can also promote regular bowel movements, better immune system functioning and improved vitamin, mineral and nutrient absorption. Men who are trying to build muscle and develop burlier physiques need to seek out healthy sources of protein to supplement their weight-training exercises. Yogurt, especially Greek yogurt, is a rich source of high-quality, muscle-building protein. Just one 6-ounce container of nonfat, plain Greek yogurt packs in 18 grams of protein without all of the fat and cholesterol that you'd get from meat sources. Yogurt can't build muscles on its own, however; men who want to build up stronger physiques need to complement protein in their diets with regular strength-training sessions to see the best results. Is Too Much Yogurt Bad for Women?